Cooking & serving with pure clay is as new as tomorrow and as old as time itself! - Easy to Use & Clean, No Mixing of Flavors. Sturdy & Built to last even with everday use. Banking on our enriched industry experience, we are able to supply Clay Handi. Keeping the diverse requirements of customers in mind, we are instrumental in providing Clay Biryani Handi. Our company has been successful in winning appreciation from the clients as one of the most prominent names in the trading of Clay Handi. 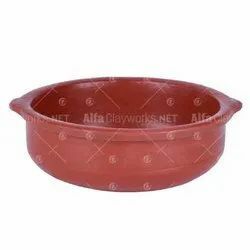 We are a top notch supplier of Terracotta Clay Handi 1.25 Ltr. 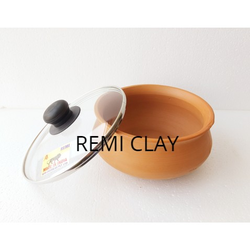 In order to meet excellent quality standards, we are supplying Clay Handi. Our reputed entity is engaged in supplying Clay Handi. Backed by a team of adroit professionals, we are manufacturing an extensive gamut of Clay Biryani Handi.